We provide resources and education to engage citizens in building more beautiful communities. 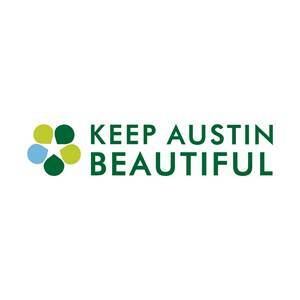 Keep Austin Beautiful, a 501(c)(3) nonprofit service organization governed by a volunteer board of directors, was established by the Greater Austin Chamber of Commerce in 1985 to preserve Austin’s quality of life. For Austin to be the cleanest, most beautiful community. Clean - removing litter from neighborhoods, creeks, and public spaces in collaboration with the community while raising awareness about the impact of litter. In 2013, more than 13,700 volunteers contributed more than 28,530 hours (3.25 years of time!) of service and removed 65 tons of trash and debris (picture 65 elephants) from Austin’s public spaces. Volunteers are making lasting commitments too – 171 groups adopted 98 miles of streets and creeks to keep them litter-free. Beautify - building vibrant sustainable communities by empowering neighbors to beautify and restore public spaces. Last year KAB loaned tools and distributed native seeds, to support110 projects that engaged 6,890 volunteers who contributed 27,663 hours of service worth more than $608,500. $10,000 plus $5,837 worth of in-kind materials supported 15 beautification projects. Recycle - cultivating waste reduction practices within the citizenry in order to divert waste from landfills and transition to a zero waste culture. 11,500 pounds of recycling were collected at 70 events in FY 2013. Educate - leading presentations, service-learning projects, and awareness campaigns to nurture environmental consciousness. During the 2012-2013 school year, KAB partnered with 70 schoolsand led 800 presentations, activities, and service projectseducating 6,800 students. An additional 950 youth were reached through our Patch Pals Activity Kit lessons. Recognize - honoring the most outstanding environmental efforts of individuals, schools, and organizations. Each year KAB celebrates the KAB Award Winners in eight categories at the Annual Awards Luncheon and awards six schools $500 through the Longhorn Recycle Roundup Good Sports Always Recycle program. At Keep Austin Beautiful we pride ourselves on our programming and reinvesting the most of every dollar back into the community. We accomplish this by being responsible stewards in managing our financial resources including being effective and efficient in our operations and having extensive Board of Directors oversight.